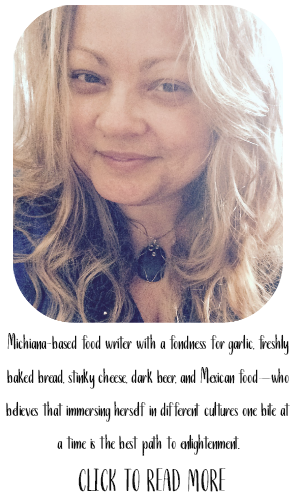 Aside from my love of cooking, do you want to know two things that inspire me in the kitchen? Beautiful ingredients and beautiful cookware. 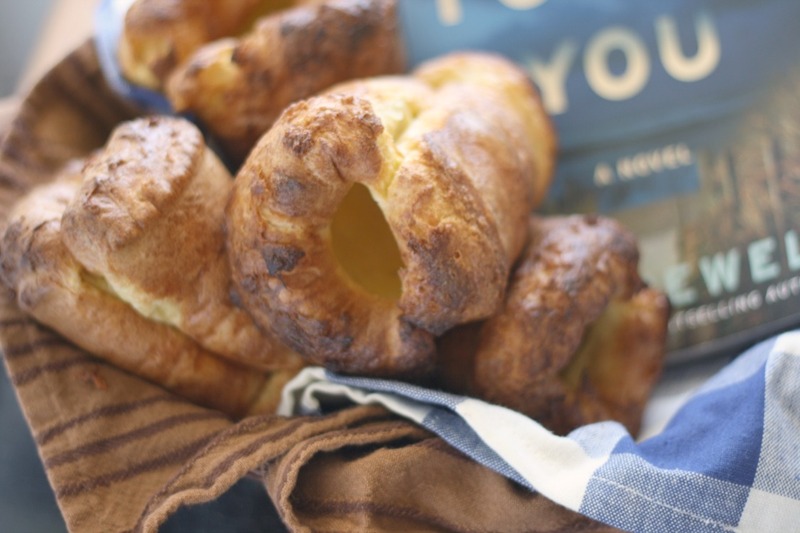 Today I'm sharing a recipe that is special enough to grace any holiday table, yet simple enough to prepare on any given Sunday. Plus, when it's in the oven, it fills your house with scents of warmth and comfort. I had to run to the store while it was in the oven and opening the door to the scent of this and freshly cut pine was intoxicating. Let's start with the ingredients. I've been in the mood for duck lately. 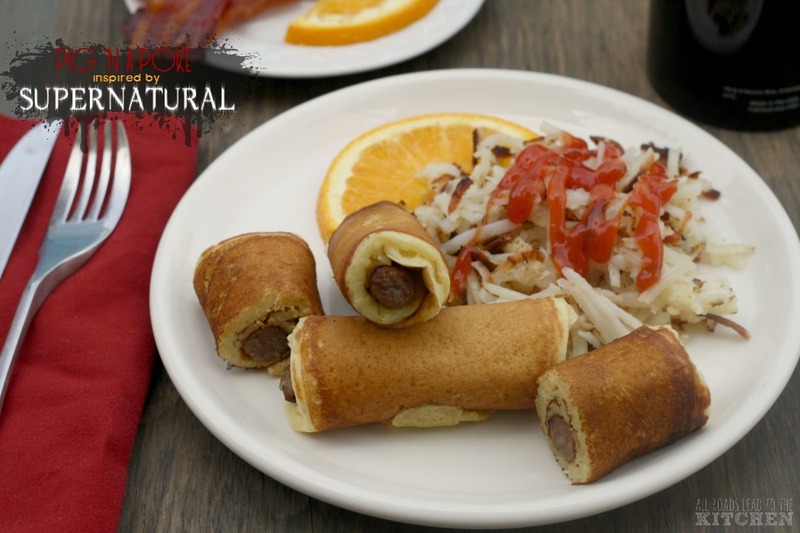 I used some duck sausage to make sausage rolls a few days ago, but I had a Maple Leaf Farms All-Natural duck raised without antibiotics just calling to me from the fridge. 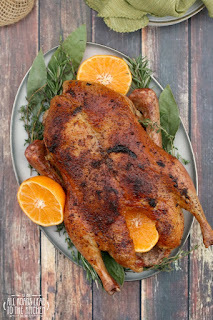 The duck, some sunny orange clementines and some fresh green herbs were just the ingredients that I needed to inspire me. Now let's talk about the cookware. Tell me that isn't one of the most beautiful pieces you've ever seen! I recently received the Lagostina Martellata 5-Qt Hammered Copper Covered Casserole that you see in these photos to test out and enjoy in my kitchen. I'd never heard of Lagostina (an cookware company founded in Omegna, Italy in 1901) before...and let's just say that it was love at first sight. What do I love about it? For starters, that gorgeous hammered copper exterior. I'll admit that this is my first piece of copper cookware (and I told myself I would own a few pieces someday). It has a 5-quart capacity, but it's shallow and wide, and while it has a nice heft to it, it's not heavy or unmanageable in the least. I've used it on the stovetop (in this mixed seafood risotto) and in the oven with the duck and it cooked nice and even in both applications. This even cooking is due to the premium tri-ply construction with copper which provides even heat distribution throughout the entire pan. The interior is made from highest grade stainless steel (18/10) which is nonreactive and works perfect for high-heat searing And since it is oven-safe up to 500° F, you can also use it under the broiler. The stainless steel makes for an ease in cleaning up that I love. It does need to be hand washed (but that's okay because I don't own a dishwasher anyway). And did I mention that it's gorgeous? I know I did. 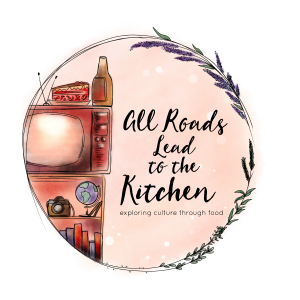 But that means not only is it dreamy in the kitchen, it's also dreamy on the table! Oh, and all of that isn't enough, it also comes with a lifetime warranty. 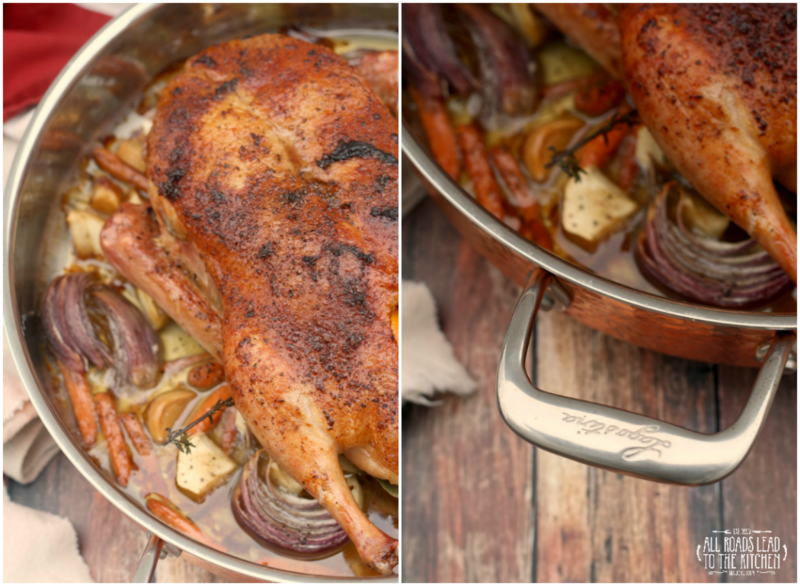 Now tell me, would YOU just love to cook with this beautiful cookware (maybe this delightfully fragrant roast duck for starters)? 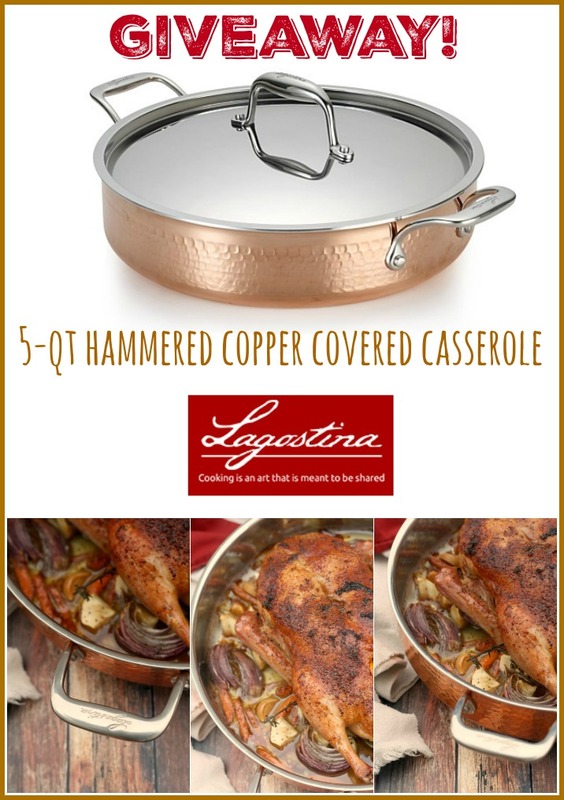 You totally can — Lagostina has offered one of my readers a chance to win their very own Martellata 5-Qt Hammered Copper Covered Casserole! I'd say that would be a pretty amazing way to start the new year. 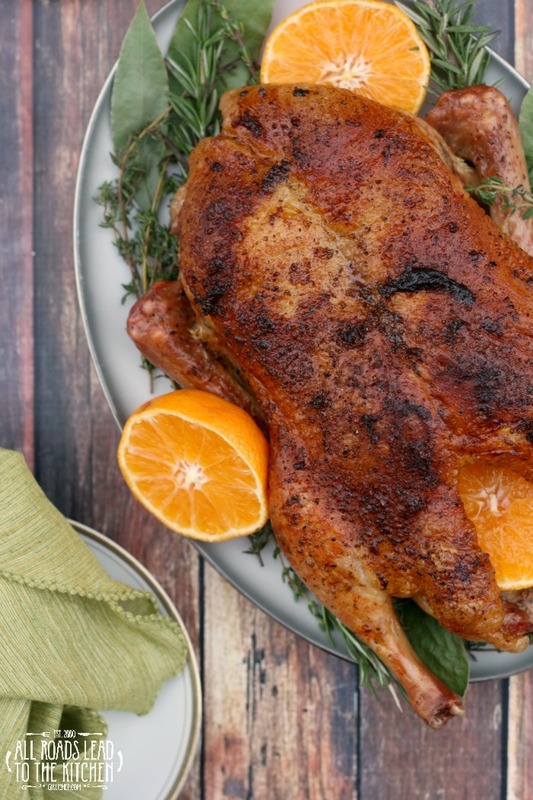 Check out this whole roasted duck recipe and then scroll to the bottom and enter for your chance to win! 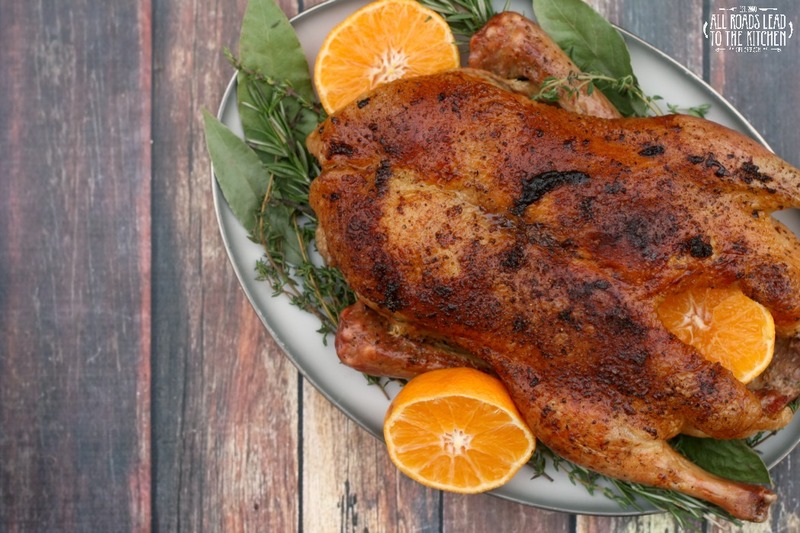 This whole roasted duck scented with oranges and herbs makes a beautiful and delicious holiday entree that is both simple and impressive. Scatter the onions, garlic, parsnip and herbs in the bottom of a Lagostina Hammered Copper 5-Qt Casserole (or something similar in size). Set the duck, breast up, on top of the veggies and herbs. 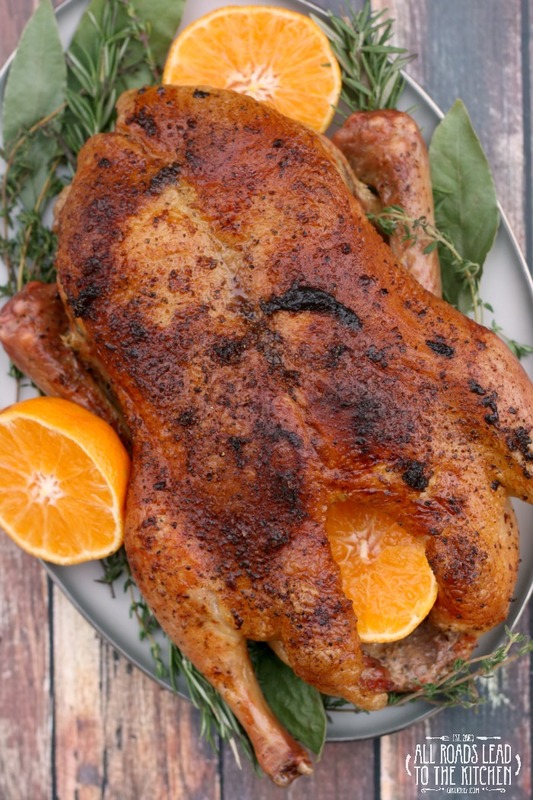 Use a microplane to finely grate the zest of the clementine over the duck, then sprinkle with the salt and pepper. Cut the clementine in half, then some of the juice from each half into the cavity of the duck before tucking them inside. Slide into preheated oven and roast for 2 1/2 hours; after the first 90 minutes, baste with the rendered fat every 15 minutes or so. 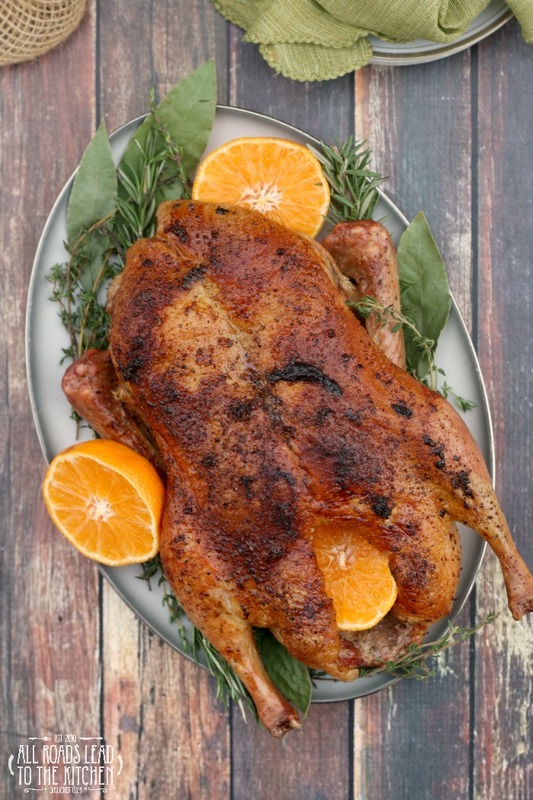 Duck is done when it registers 165° F in the thickest part of the thigh and the skin is deeply golden and crisp. 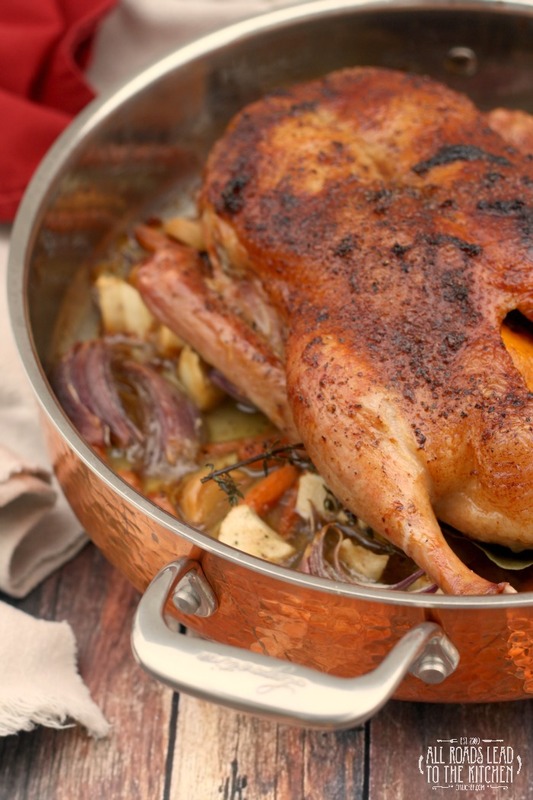 Remove the duck from the casserole and let it rest on a cutting board at least 10 minutes before serving or cutting. Do not throw away the fat from the pan - duck fat is liquid gold! Pour it through a strainer into a jar and put in the refrigerator until cold. Once it is cold, scoop the fat into a clean jar or container and store covered in the fridge. Use to roast potatoes, fry eggs, or whatever you like! The veggies can be discarded though, since their main purpose is to add some flavor and hold the duck up from the bottom of the pan. However, if you don't mind extremely soft veg, I would lift them from the fat and juices and saute them quickly in a screaming hot skillet to brown a bit. 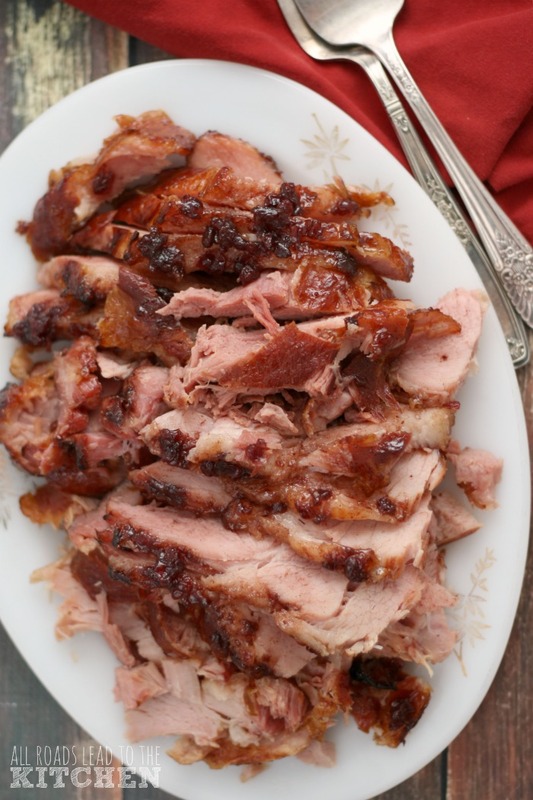 Cooking time should be about 30 minutes for each pound, so adjust accordingly if your duck weighs more or less. This giveaway is for (1) Lagostina Martellata 5-Qt Hammered Copper Covered Casserole (retail value $269.99 - on sale now for $179.99). You must be 18 years old and reside in the USA to enter. 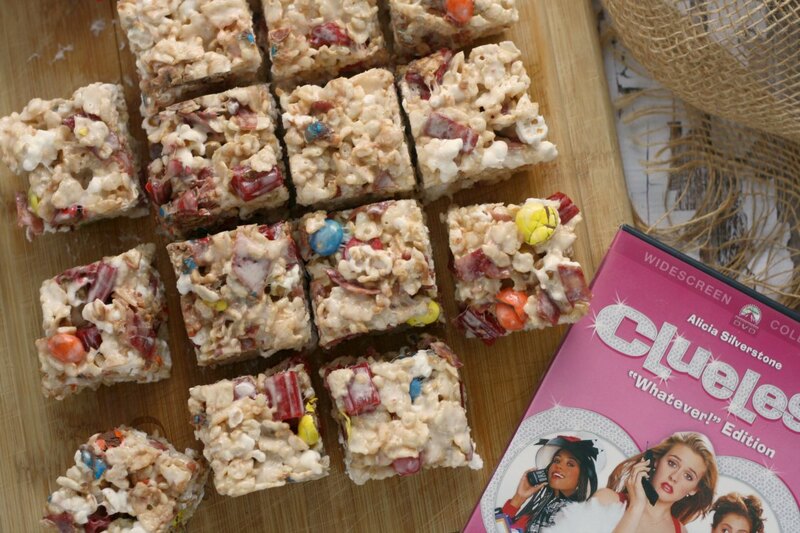 You must first comment on this blog post answering the question below and then record your entry into the rafflecopter widget to be eligible to win. Once you have completely the mandatory entry, more entry options will become available. Entries will be verified. Submissions will be accepted through Thursday, December 31, 2015 at 11:59pm EST. A winner will be drawn and notified within 48 hours and given 24 hours to respond or a new winner will be chosen. What is the first thing that you would make in your beautiful new Lagostina Hammered Copper Casserole? I received a complimentary Lagostina Martellata Tri-Ply Hammered Copper Covered Casserole for the purposes of testing and review. I am also a Maple Leaf Farms ambassador. All opinions stated in this post are my own.